These tools and materials are suggested for installation. This camera tether is a result of "outside of the box" thinking and it's merits may not be readily apparent. Camera attachment: The swivel is screwed into the 1/4"X20 tripod mount on the bottom of the camera. By snugging the O-ring against the camera, you have a very secure attachment. The nickel plated brass swivel has stainless steel ball bearings which allow for low a very low friction rotation of the swivel, even under load. 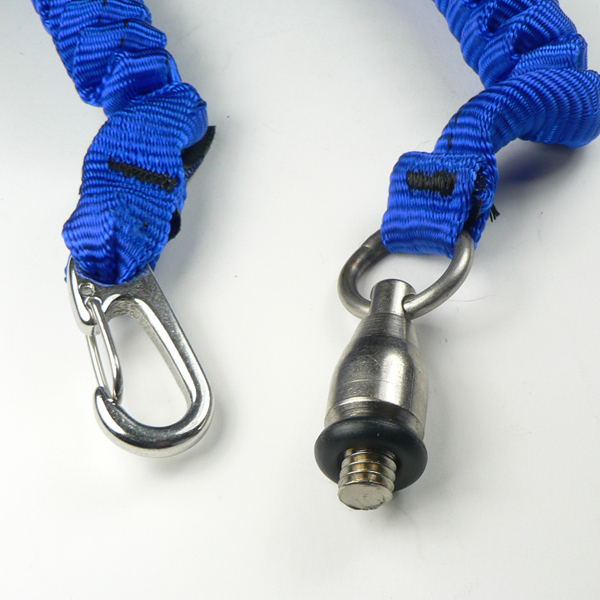 Any rotational force will be relieved by the swivel and the threaded attachment will remain snug and not unscrew. 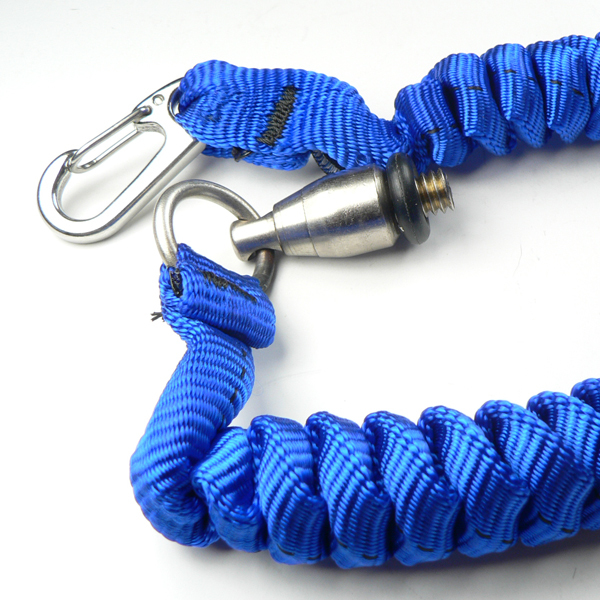 By snapping the Stainless Steel Mini-Clip to the ring on the swivel, the resulting webbing loop may be double looped and provides a very comfortable wrist lanyard for any size camera. We know of one custom light modification that has a 1/4" X 20 thread placed in the rear of the body specifically to accept this tether. Perhaps light manufacturers may follow. The hardware on this tether was chosen to survive harsh environments like salt water. Relaxed length: 15 inches, extended about 48 inches.